The BSHA holds an Annual Assessment Day for potential new Judges, who are welcome to apply to join the Panel; you will find details in the Guidance Notes, please see below for a copy. Following the Judges Review of 2018, the Board would like to draw your attention to changes in policy. If you are regularly competing, a full or part time employee in a professional showing yard or a Producer, then the Board would prefer that you did not apply ay this time. It would be deemed more appropriate to apply when your commitments have reduced. This year the Annual Assessment Day will be held on Wednesday 10th October 2018 at the Addington Manor EC, Addington Bucks MK18 2JR. Applications for the 2018 Judges Assessment Day close on Friday 31st August 2018. The Assessment Day is open to the first thirty applications on a first come, first serve basis; if applications warrant, there will be a waiting list. There are different categories which make up the Judging Panels; the Full Panel, Conformation Only, Ride Only Panel and a Probationary Panel. The system is designed to encourage the training of Judges and to rigorously test them and ensure that they meet the criteria required by the Association. If accepted onto the Panel, the BSHA offers support and encouragement to Judges. Other Societies recognise the stature of the BSHA Judges’ Panels and Assessment Procedures and many Judges also officiate on a number of other Panels. 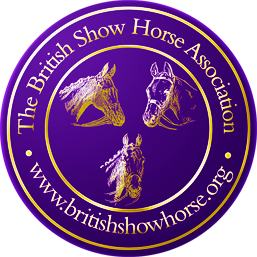 Mrs Sue Rawding, Chair of the Judges Committee or Mr David Ingle, Deputy Chair of the Judges Committee for the BSHA would be happy to discuss any concerns or questions in regard to an application.